Originally posted at HarsH ReaLiTY blog. I keep on popping up in the strangest of places. I am Don Charisma from DonCharisma.org blog. Opinionated man has asked me to do a few guest posts over the weekend, and I’ve graciously accepted the challenge. 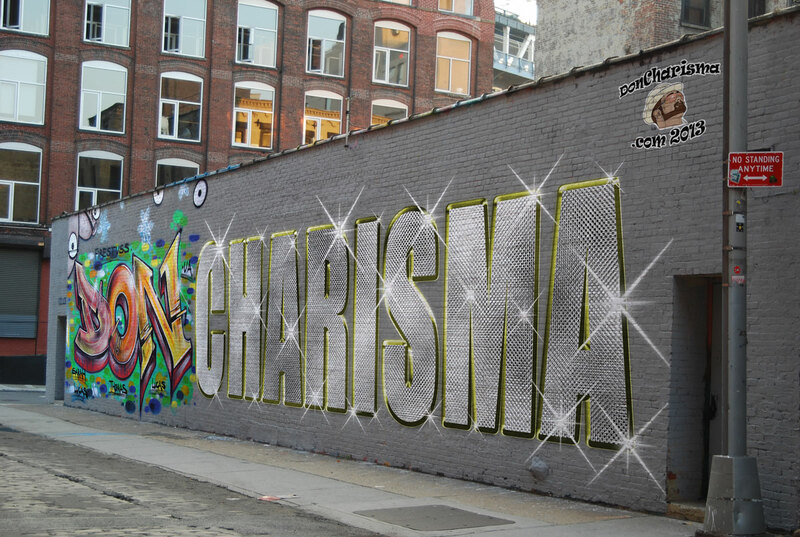 Who the Funk is Don Charisma ? A little about me, I’m from UK. I lived a long time in London and that’s more my home than anywhere else, although I live overseas now. It’s warm/hot here and the people smile more. I used to be a geek, University computer science graduate, worked in the city of London for a long time, banks and money, and state of the art toys to break, I mean play with. These days I’m more laid back, and interested in more creative pursuits – playing around with Photoshop, Illustrator and a little photography. I thoroughly enjoy doing blog articles on things like promoting blogs/websites, annoyances, bit of geeky stuff, how-tos for bloggers and like to mix it up so my readers never know what’s next in their inbox. That’s enough of me I’m sure. When I first started blogging I didn’t understand the guy at all. I read some of his posts, and he seemed to be the least opinionated person I’d come across, more time sitting on the fence than anything else. He seemed more about writing short articles that caused other people to express their opinions. Now my brain works pretty slowly sometimes (well a lot of the time actually), but over the course of quite a few weeks, I started to see what OM does. He likes the community aspect, somewhere where people can come and express their opinions, in relative safety, OM’s there to moderate, and he’s a pretty decent cool guy by all accounts. So in effect he’s created a community here, which I think is great. He asked me to contribute on Project-O and I declined. At the time I thought something like “Why the hell should I write his content for him”. It’s a decision I’ve since regretted, as I’ve come to know him better and understand what he does on this great blog of his. I don’t have a fixed schedule of what to write about. I will try to keep it short and sweet, for the sake of my time. However I do find it difficult to say anything worth saying in under 500 words. So it’ll be a different from what you’re used to, but hopefully in a good way. I’ve been threatening a trip up on the hill to take photos of a huge gold Buddha, but it’s rained today, so I keep putting it off. Not sure with doing these extra blog articles if I’ll get time, but if I do I’ll share the photos. If anyone has any suggestions for things they’d like me to write about, then let me know, I will do my best. So there you have it, Mr Don Charisma on Harsh Reality blog ! I’m already a follower! Good choice OM. Equalizer here, from authorthat.wordpress.com. Long time no contact. There must be some interest in my writings somewhere for you to want notification of further writings. I have however been rather focused on solutions for some time, rather than writing of issues. I’m just not quite sure what you like reading about that I wrote. Wasn’t sure where to place this as the theme here seems great for those who appreciate and love to travel to places in the world. Harsh reality seems however to be a place for me to email you and see if you or perhaps your readers, have any awareness or interest in the subject matter which is after all… a harsh reality and somewhat of a rude awakening for those without the knowledge of the issue let alone the solution…not so easily found, yet will be appreciated due to the harshness of conditions that will result without application of the knowledge herein. I speak of the current global debt that’s soon going to rear it’s ugly face and require a changeover by globalists. For anyone to buy or sell in the future. They will use a new language, to destroy the current global economic system of fractional reserve petrodollar currencies, as this new language cancel’s all contracts, trusts, and treaties used over the last 8,500 years in 5,000 languages. It will be replaced with the biometric authentication RFID system warned of in biblical text. Not to participate . Therefore, I wanted to make a way for you to be made aware of the only alternative. Naturally it’s based on God’s use of fair weights and measures. The money lenders refuse to forgive the global debt, to force populations into a …harsh reality ! Welcome to the world’s first credit based LBMA certified gold backed currency. People say…well, I can get gold or silver anywhere. Yes…but are you going to use it to buy and sell anything anywhere ? No, you will lose money that way. You can only use it to store value instead of seeing your cash taken from you at the bail in banks, or lose value because it’s worthless paper not backed by anything. It’s tough to have all the features & benefits of using it like you use cash at any store, or as any store needs it to be. No system of usable size measurement or quantity & ( quality ) OR, global network of vendors to accept it. What I can make available, is THE solution. This already has a framework existing in 119 countries as vendors are only now beginning to apply to accept this for online commerce. How many millions of people will need a stable economic business model. A currency that does not fail, and is non prime number encrypted so no government can interfere or tax . There is more than your ability to save and store your wealth here Don, If you will email me, I will show you the means to get paid weekly in gold backed currency or credit placed on whatever card you use, by being in the business of making this available to the many that are now looking for that elusive solution . My email to use is techresult@hotmail.com Just use the title Gold currency. In God we trust. Now… All others can use gold ! Re-blogged, and posted “Don’t feel much like blogging tonight, so I thought I would let my friends Don Charisma and Opinionated Man do the work for me”. Since I am a bit depressed tonight, that’s the truth. I think I need a hug. Not sure what time it was Don, but I went to sleep last night and really crashed. Didn’t even hear the thunder my deaf mom heard this morning. It’s 6:30p.m. here right now, and not sleepy at all, so probably won’t get much tonight. BTW, it must have been the hugs you sent. They worked. Thanks. My sleeping pattern is a constant battle try get it in line with the daylight … UK and USA being the biggest viewers of my blog doesn’t help ! Don’t feel much like blogging tonight, so I thought I would let my friends Don Charisma and Opinionated Man speak for me. Don Charisma is an amazing blogger and kind and gentle man. He reblogged two of my posts and now I have a new group of friends. Please check out both Don and Opinionated Man as they are royalty among bloggers! Next Next post: HarsH ReaLiTY – Enter the dragon, Cross-cultural bonding or Cliché ?